Rick and Morty Season 3 Episode 2: Dan Harmon and Justin Roiland-makers of “Rick & Morty” the famously hit series gave fans a spine chiller on April fool’s day of this year by airing the 1st episode of R&M S3. The first episode was aired in the place of Samurai Jack and gave the fans curiosity and lots of eager to see second episode of R&M. With lots of wobbling from past months and continuous wait of fans, the whole craze was taken entertaining but the sudden release of the show made the fans angry. 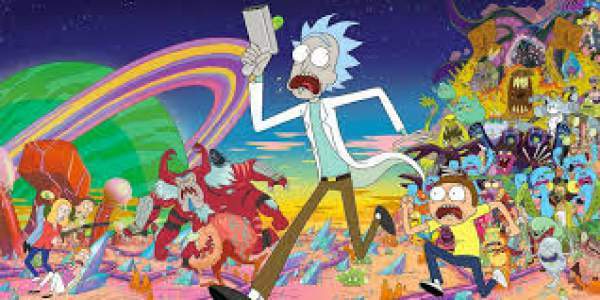 Fans took Twitter to show their anger and slammed the makers of series Rick&Morty add they did not follow their own committed deadline.this outburst and reactions of fans further made the makers of the show to apologize from fans on Twitter. Though the run time of the show was 22 minutes but it was enough to show the fans some insight about season 3 and what is gonna happen now. The first episode showed Rick escaping the prison and what he did after which makes the fans carve for next episode as soon as possible. In next episode, it is obvious now that pickle will rise which will lead to Rick transforming himself to pickle whilst that makers have shifted their perception from galactic view to something new. Now, it will be interesting to see how Rick will irritate Morty and his family after transforming into a pickle. The next ep is titled ‘Rickmancing the Stone.’ R&M S3E2 is a couple of months away on Adult Swim. The second episode of “RicknMorty” season 3 may feature a potential return of the eternally horny Squancy. Rather than galactic, segment 2 dives into the sewers, pitting Pickle Rick against a horde of rats. But it seems Rick did it to himself, chasing that pickle experience. Rumors say that Rick will find someone to romance with while Morty is enjoying with girls as he goes on a long journey. the latter does not trust and like the former, which could eventually yield to turning against each other. So, stay in touch with TheReporterTimes for every update and keep visiting our site. Don’t forget to share your thoughts with us.